With a background in Performing Arts and Education, Paul has trained at the Stella Adler Conservatory of Acting NY and holds a Master of Creative Arts Degree in Directing. For the past 20 years Paul established theatre companies, sat on theatre boards and operated his own Acting Schools in Sydney. Paul’s entrance into the corporate world began in 1997 and his global career has encompassed many industries across the public and private sectors. Establishing a wide-ranging depth of knowledge in Learning and Development, Paul has worked as a consultant, program designer, instructional material designer, facilitator, trainer, actor and executive coach. Areas of work include: Leadership, communication skills, internal communication strategies, interpersonal communication skills, management skills and personal effectiveness. Paul’s passion is helping people grow by understanding themselves and others; therefore people are his business. His expertise combined with his highly interactive and entertaining manner make Paul an internationally sought after facilitator across many industries. 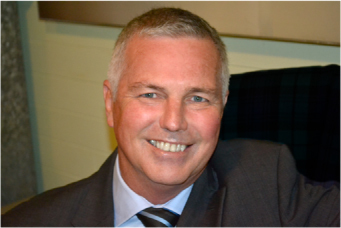 Paul is known for his meticulous research, fully customised programs and a genuine commitment to his chosen clients. One of Paul’s particular skills is his ability to deal with all levels of an organisation and to tackle issues not able to be approached easily by management. Results are frequently profound with previously reticent participants actively encouraging colleagues to participate and create involvement. Design and delivery of Leadership programmes, Organisational Change, Presentation skills, Facilitation skills and Communication skills. USA, Germany, Singapore, Malaysia, China, Australia and New Zealand. Paul’s years of experience make him a welcome speaker at events. His presentation style is highly engaging, entertaining and interactive illustrating a special ability to enable each audience member to feel a part of the occasion while challenging and reflecting upon current thinking. Conference Clients include: BIIG, Queensland Police, WorkPac, Talent2 and PMI. Executive Coaching: one-on-one sessions on a continuous basis. Highly professional, articulate, personable, flexible, consistent and reliable. Committed to attaining the very best through individual attention and stretch. All assignments are designed to protect and develop an organisation’s competitive advantage. Specific needs are determined through extensive briefings. Paul has a gift with people. He has a rare ability to inspire others by example and delivery. He engenders trust so that others will more readily assume behavioural change. Known for his meticulous research so that every assignment is specific and tailored to the immediate requirements of the business. Paul commits time and gives professional programs free of charge to the Australian Enneagram community.